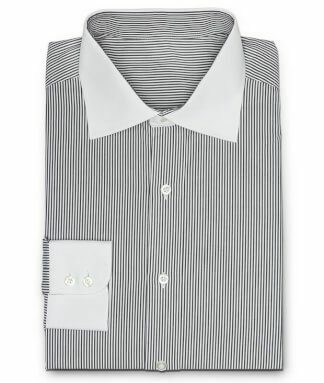 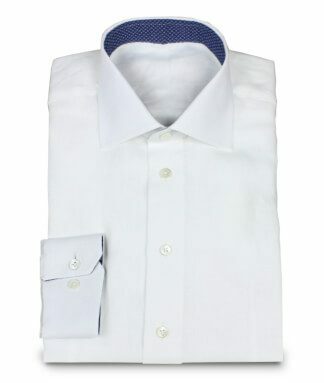 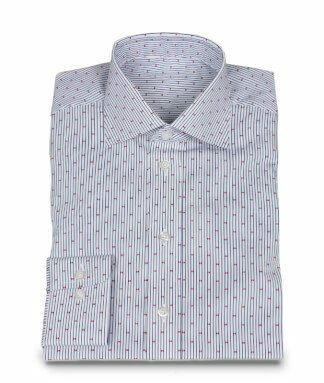 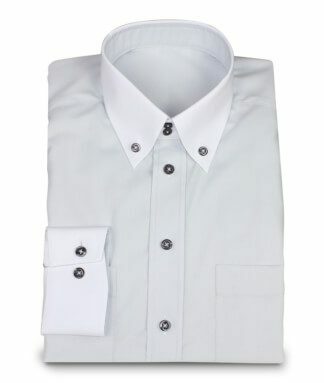 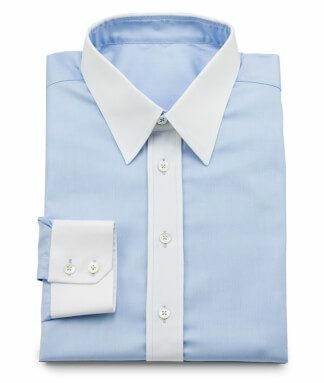 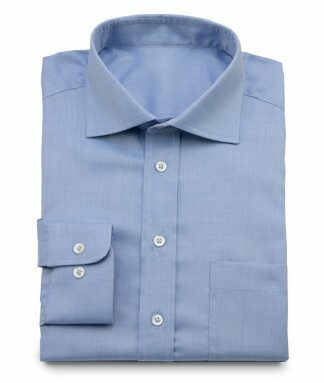 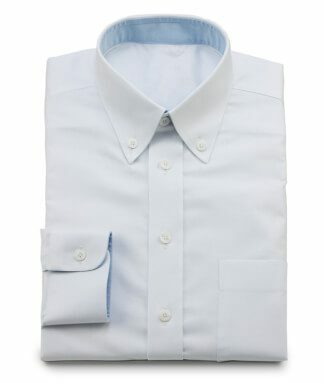 Comfortable cotton shirt with dark blue lines on white ground. 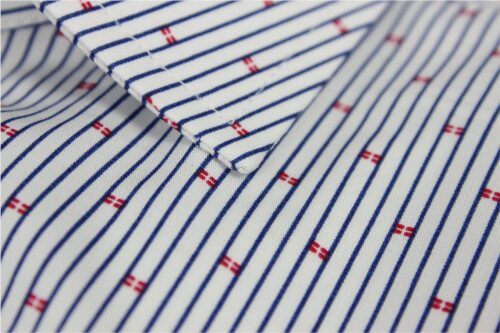 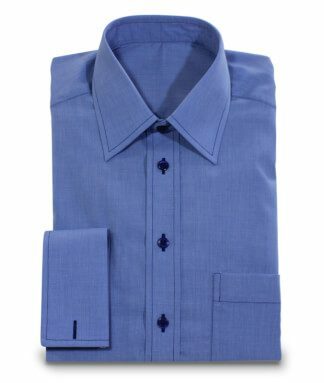 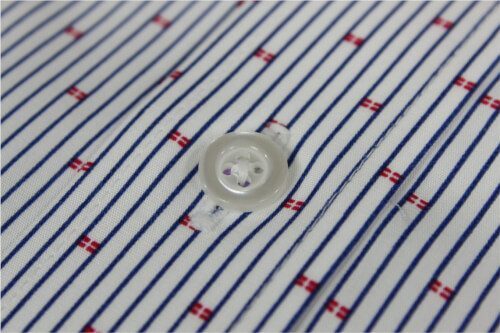 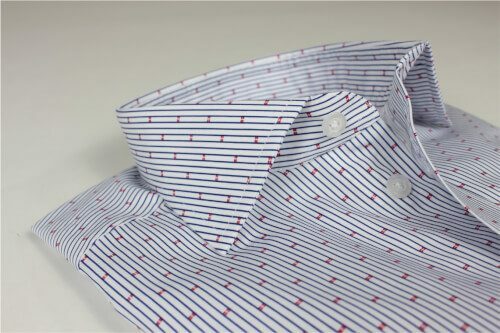 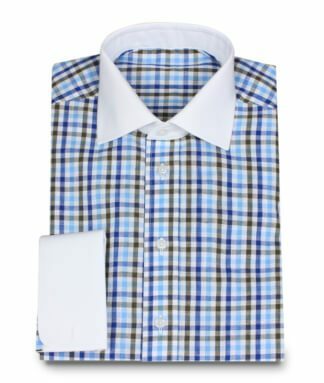 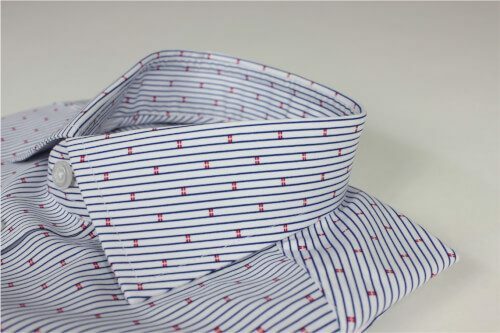 This material is the perfect basis for your next business or leisure shirt. 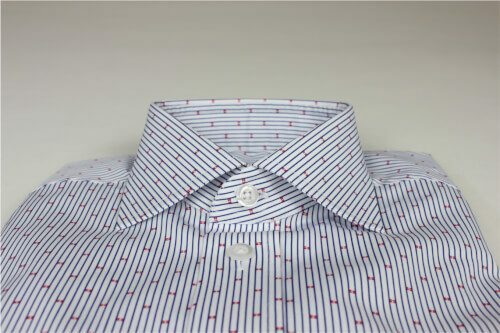 The highlight are certainly the red boxes, which are printed in regular intervals.